There are so many plastic surgery procedures that target the improvement and enhancement of a patient’s specific body part. Each plastic surgery procedure even has different approaches and techniques to follow to further improve and address one patient’s preferred results. Here, let us discover one technique plastic surgeons follow in the tummy tuck procedure, the Fleur de lis abdominoplasty. Is it a better option? Fleur de lis abdominoplasty: What is abdominoplasty? Before knowing what Fleur de lis abdominoplasty is, we must know first what a tummy tuck is and how the traditional method is performed so we can identify their difference. A tummy tuck or abdominoplasty is a surgical procedure that removes excess body fat, skin, and abdominal tissues to create a flatter and leaner tummy. Most women who have had previous pregnancies benefit from this plastic surgery especially if they also have overly stretched abdominal muscles due to their past childbearing. Abdominoplasty or tummy tuck also tightens muscles by stitching up separated ones to complete your belly’s transformation. This is also part of the reason why men even turn to abdominoplasty to improve their abs and show off their ripped tummies. Fleur de lis abdominoplasty: How is it different from the traditional technique? The traditional tummy tuck surgery is performed using an incision running horizontally across the abdomen, from hip to hip along the bikini line and just above the pubic bone. With the Fleur-de-Lis abdominoplasty, the plastic surgeon creates an additional incision that runs vertically down the midsection to better access the loose abdominal tissue. The exact length of the added vertical cut depends on how much skin laxity is present on your abdomen. This added incision allows the surgeon to tighten your skin from the sides as well as up and down, which will drastically improve the look of your abdomen. Fleur de lis abdominoplasty: What can I expect? As with any other plastic surgery procedure, there are positive and negative expected outcomes and results for a Fleur de lis abdominoplasty. Here are some of the most common expectations surgeons tell their patients about this type of tummy tuck approach. The potential candidates. 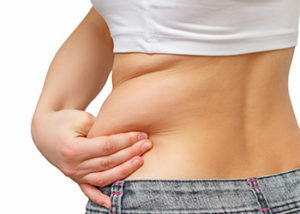 Patients who would want to have this type of abdominoplasty should have visible weight loss and have a large amount of loose, sagging tissue that extends to the whole abdomen to better benefit from the Fleur-de-Lis technique. Additionally, the patient’s overall good health makes him or her qualified for the procedure. Scar formation. Expect that after the surgery, a vertical scar along the middle of your abdomen is noticeable along with the traditional incision along the bikini line. If the conventional approach can be inconspicuous when wearing shorts or high-rise underwear, your plastic surgeon should explain that the additional vertical cut may leave a souvenir scar to indicate your tummy tuck procedure. Recovery time. Like the traditional abdominoplasty, patients can expect that their days off work may extend to 2-3 weeks. This gives an ample amount of time for their wounds to recover and for their body to adjust to the new contour and form of their abdomen. Strenuous activities and other work limitations may still be upheld for up to 6 to 8 weeks, depending on your plastic surgeon’s observation of your recovery. All activities should be approved by your plastic surgeon to avoid unwanted complications post-surgery. Risks and complications. Fleur de lis abdominoplasty also has the same potential risks and complications as any other abdominoplasty technique or type. Infection, scarring, bleeding, and persistent discomfort may be reported as a postsurgical result. Be sure that you adhere and follow your plastic surgeon’s post-op instructions and restrictions so you can surely prevent any serious unwanted complications and enable you to enjoy the beautiful benefits of having tone, firmer, flatter, and sexier abs.